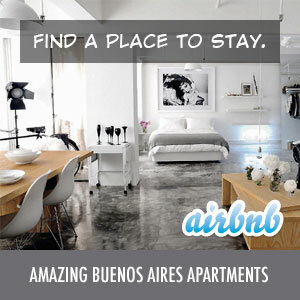 While selling most of your worldy possessions can be a very freeing experience, I have to say that I did have one other disappointment about deciding to make the move to BsAs. That disappointment was having to sell my bike. It was a 2006 BMW Dakar F650 GS and only had 3000 miles on it. It was a great bike for commuting around NYC and a lot of run to ride. Unfortunately, the option of moving it with me was out of the question due to the ridiculously high shipping and import taxes I would have had to pay. And, just storing it meant that all it would do is depreciate in value, so I put it up on eBay. Luckily, I was able to get only $3000 less than I paid for it (taxes included). I sold it to a 68 year-old in Paris, TX who flew up to New York with his wife to ride it the 1400 miles back home. They told me that they were planning on taking it to Copper Canyon, Mexico, so I guess it’s in a better place now. While I may get a motorcycle in Argentina, that will definitely take awhile – driving there is crazy! I have no idea how they manage to not have stop signs on many intersections and have everyone still figure out when it’s their turn to go. I expected to see a lot of accidents when we visited last fall, but surprisingly I did not. Maybe a week was not enough time or maybe there is a system that I just did not understand. Anyways, I’m not planning to drive anything for awhile.